Greetings in the name of our wonderful Father and His precious Son our Lord Jesus Christ. I pray that the Spirit of God will rest upon you in abundance today. Secondly I wanted to let you know that my books Identity Wars and Life Matters have been published and are available through most bookstores. Most notably Amazon.com and Barnes and Noble. ?In Australia you can order these books at Emporium Books. You can also get Identity Wars in the Apple Store. ?Here are some recent Reviews of Life Matters from the Barnes and Noble site. Heart Warming - Thought Provoking - Are you blessed with this kind of family love? Reading this book carried me back to a review of powerfully fond memories of my own life that parallel the events described by the author. There is something beautiful about reflection upon one's life and in this account Adrian Ebens unfolds practical lessons that were revealed to him in contemplation and reflection of his personal experience. It is a wonderful expression of thoughtful descriptions of family relationships that are universal in scope. Applying these lessons in one's own life is not only possible, but through the practical outlines given in Life Matters, you can bring these blessings into personal experience and rejoice in the process! I highly recommend this book to any and all who desire the sweet experience of knowing what it means to live family life as was originally intended by God the Designer and Visionary Creator of humanity. Takes you on a beautiful journey! 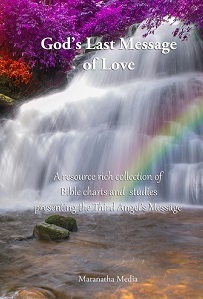 This book is truly a treasure chest of God-given principles for relationships and life matters. By looking at God's Biblical plans for a loving Christian family, you will learn the significance of maintaining the God-given channel of blessing that lies within every family and how this channel is the key to building a happy home. Discover how to connect with your loved ones in elevating, gratifying, and meaningful ways through guidelines that teach you how to cultivate love, mercy, and trust in your relationships. A wonderful read for yourself, with your spouse, or as a whole family, 'Life Matters' will assist you in developing and nurturing your relationships the way God intended. The other day my wife and I were walking and sharing together about the many wonderful things in relation to Jesus truly being God's Son. As we talked, some thoughts came to my mind that made me jump for joy. I received a snap shot of why Jesus had to come forth from the Father to become the WAY and that without His begotten position we could never really know the heart of the Father - He would be a complete mystery. I put my thoughts together in the following Article. I hope it blesses you as it has me. 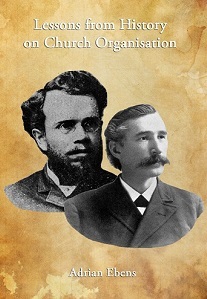 Have you read the Theos series by Dr Gary Hullquist? Download these important magazines now. I really enjoyed reading these magazines. 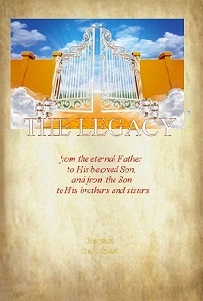 They are a wonderful tool to share with family and friends the wonderful truth of the Father and His Precious Son.